years of the war, as well as an additional 27,366 troop trains. as to avoid congesting that part of the Brighton main line which had only two tracks. Prior to the First World War engine cleaners received no holidays. 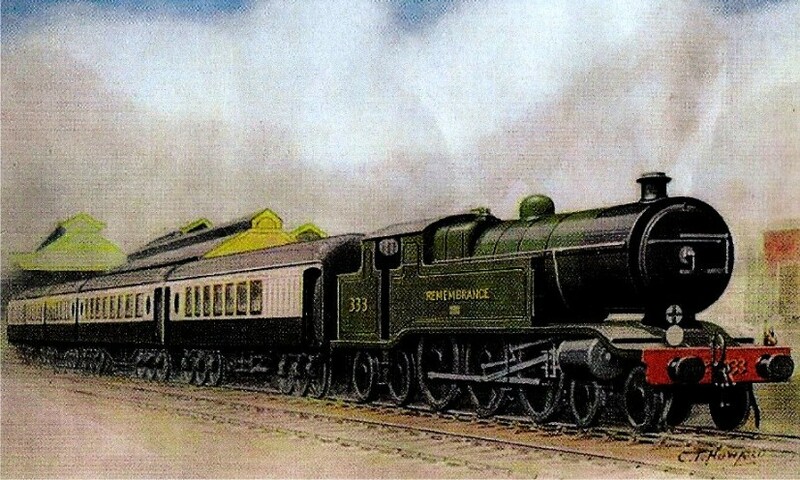 However, engine cleaners who had worked as a fireman for at least 9 months out of the previous 12 months were awarded 3 days annual holiday; but only approved fireman were able to meet to meet this requirement and by the time they could fill 9 months of the year with firing turns they had virtually ceased to be cleaners. 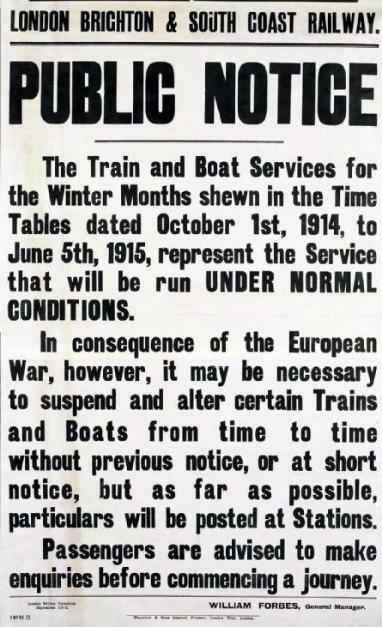 Moreover, even those footplatemen who were entitled to a few days’ holiday were forbidden from taking it during the summer service. Therefore some cleaners/fireman belonged to Territorial Army or to the Royal Navy Reserve. This was not them being patriotic, but it was a way of getting paid holiday whilst attending summer camp each year. But things caught up with them in August 1914 when the Great War broke out. The Territorials and Reservists were mobilised almost immediately and caught up in the patriotic fever which swept through the nation. 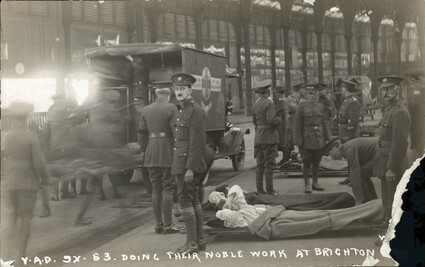 Many others volunteered for active service. all going off to fight for their country. This was approximately one in ten of the entire footplate grade at Brighton. 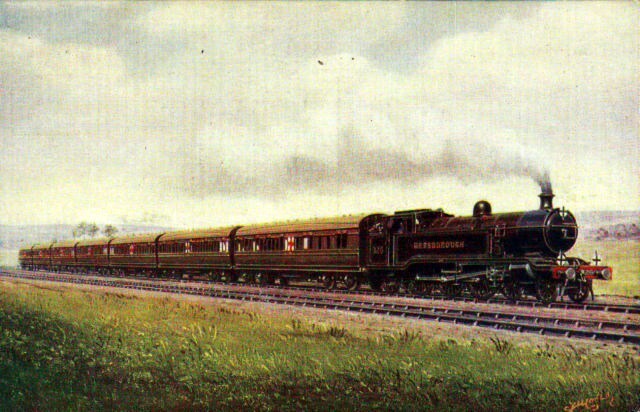 Only 2 of the 46 loco-men did not return after the war was over. 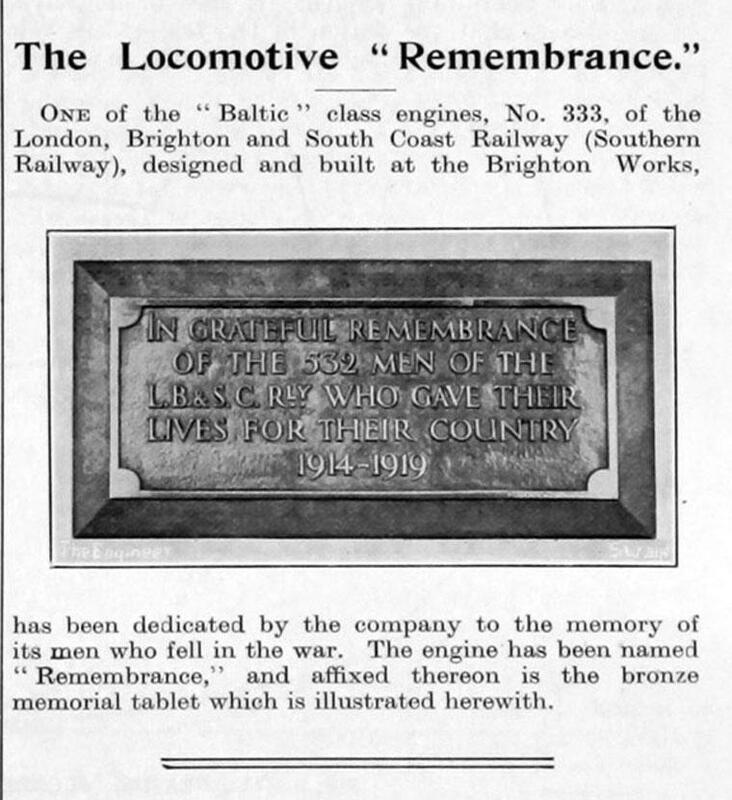 It is possible that most of them served in the Railway Operating Division which had a causality rate much lower than in the trenches. first have to hand in their notice to the L.B.S.C.R. : in other words they would have to resign from their job on the railway. converged on the sea ports of South-East England and Newhaven played a major part of this operation. find their own lodgings in Newhaven. of the war in 1918 aged 62. In March 1915 A.S.L.E.F. Organising Secretary Mr. W. Warwick met with Locomotive Superintendent Lawson Billinton. W.
go back when normal times come around again. The men would not be moved unless absolutely necessary. Space between the down local and turntable road at Montpelier Junction blocked with permanent way material. Billinton promised to raise this with the Engineer. Shedman Kitchin should be given a minimum driver's rate. on running lines. he had no objection to Kitchin's advancement when possible and when a suitable vacancy occurred. Distribution of the 4s.9d and 8s. pay rates. Three Bridges being classed as main line could not be definite. The whole point rested with the class of worked carried out. pointed that the defence of the realm list, hung up in the shed caused dissatisfaction in the matter. Punishment of men exceeding speed limits. lost time must be explained. Billinton took the opportunity to elucidate the new method of taking speed by electrical recorder. The men proposed that a driver or fireman should be related after working two years or 616 days in the higher grade. matter; the difficulty was, however, that this matter was embodied in the terms of service. Request that the walls of the ash pit at Brighton should be repaired. Request for the opening of the old engine shed pits at Eastbourne. Billinton could not see the necessity for this view of the small number of engines running into Eastbourne. awning at Battersea station, West London line, was dangerous for men working with the Moguls. made at shed at whether they had a spare overcoat. Disc for crossover roads at West Croydon. Two place at Victoria where handsignal were necessary. Question of dangerous position of regulator lubricators on dome. Billinton pointed out that it was more dangerous to attend to these lubricators than for a cleaner to clean out the boiler. A case of tight workings on the 9.25 am to Victoria, arriving Battersea shed about 4.30 pm, and leaving at 4.53 pm. Moore was asked to look into it. War bonus payments for men off ill or attending deputations. Billinton promised to enquire regarding coal from the Railway Company for private use. Complaints by Brighton men of painters taking up a large part of the shed. Billinton said the painters would be transferred. Suggestion of trailer coaches being fitted so that the engine could be attached at either end, to save running bunke first. Exhaust injectors of No.37 not having a stop plug for use in case of obstruction of top clack. The L. B. S. C. R. First World War service badge. to not being seen in military uniform. 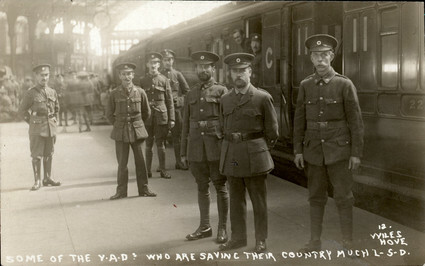 April 1915 to the War Office. that they are doing their duty for their country. badges to skilled workmen of armament firms. 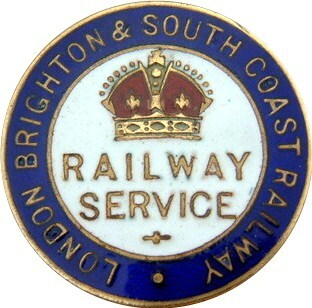 badges produced by the different railway companies. list of each employee would have been made . confirmed there would be no higher rate while there were vacancies. desire for a Allied victory (in the Great War) but was ruled out of order. 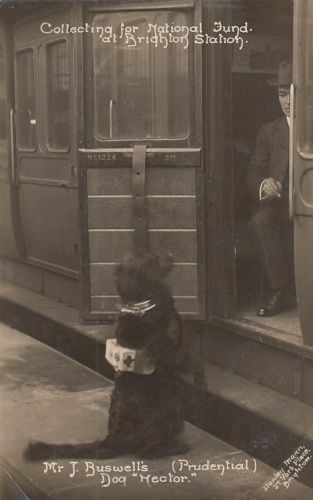 Taken from "Driven by ideals"
Belle service between Brighton and London. locomotive. 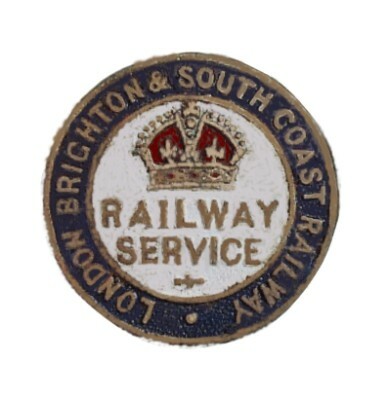 With no other suitable work being available within the Brighton section of the Southern Railway the "L CLASS" was withdrawn. Herbert Hallett, Labourer, served in 20th Hussars, Private, died on 26/10/14. A.J./Joseph Holmes, Lifter, served in Royal Navy, 1st Class Stoker on H.M.S. “Good Hope” died on 01/11/1914. P. Inkpin, Labourer, served in Royal Sussex Regiment, 2nd Battalion, Private, died on 11/09/1914 aged 27. Thomas Kelly, Machinist, served in Royal Nay, 1st Class Stoker on H.M.S. “Good Hope” died on 01/11/1914. William Robert Kerston, (Kersten) Coalman, served in Worcester Regiment 2nd Battalion, Private, died on 28/10/1914. Richard Saunders, Labourer, served in Royal Navy, Able Seamen on H.M.S. “Good Hope” died on 01/11/1914. Thomas J. Symes, (Synes), Holder-Up, served in Royal Navy, 1st Class Stoker on H.M.S. “Abourkir” 22/09/1914. 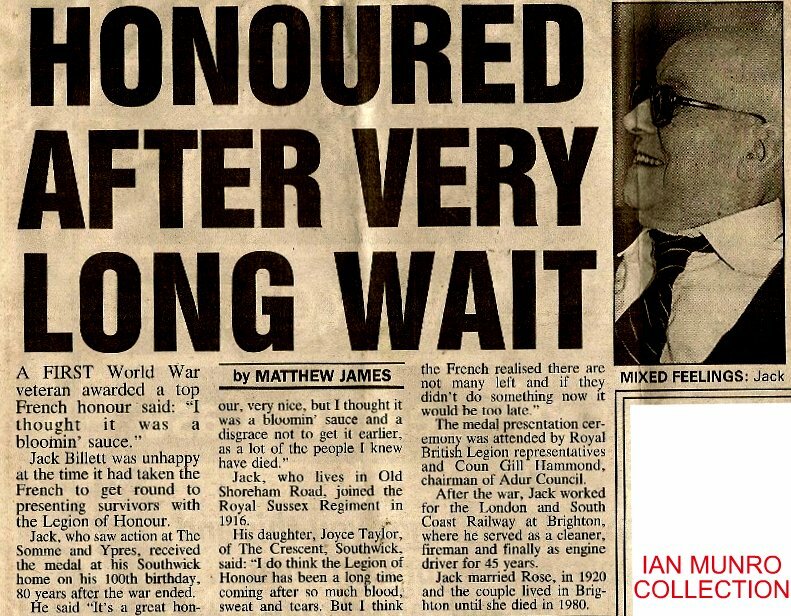 William Young, Labourer, served in Royal Navy, 2nd Class Petty Officer on H.M.S. “Good Hope” 01/11/1914 aged 33.
special circumstances being found in his tender years, or in the 12 1/4 hours spent on duty prior to the incident.